This assessment indicates a mixed performance for the Transport Sector Strategy Study, 2006-2015 based on an assessment of the overarching goals upon which the study was based. This progress report to the GMS Leaders provides a summary of key achievements under the GMS Economic Cooperation Program since the last GMS Summit in Nay Pyi Taw, Myanmar on 20 December 2011. The Development Partners’ Assistance Matrix for the GMS Economic Cooperation Program is an inventory of development partners’ ongoing and planned subregional projects in the GMS. 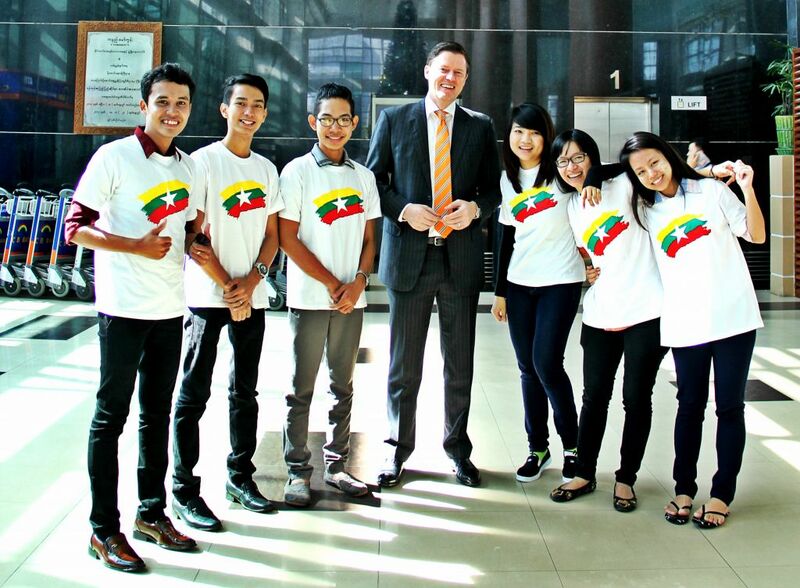 ADB Country Director in Myanmar Winfried Wicklein sees off Myanmar youth representatives at the Yangon Airport on 9 December. Photo: ADB. YANGON, MYANMAR (10 December 2014) – Six Myanmar youth representatives today embarked on an Asian Development Bank-sponsored journey of learning through Mekong countries to develop and deliver a youth message at the 5th Greater Mekong Subregion Summit, 19-20 December in Bangkok. YANGON, MYANMAR (4 December 2014) – The Asian Development Bank and Government of Australia are providing combined assistance of $10.5 million to promote private sector development in Greater Mekong Subregion countries. Myanmar will be a major recipient of this assistance. 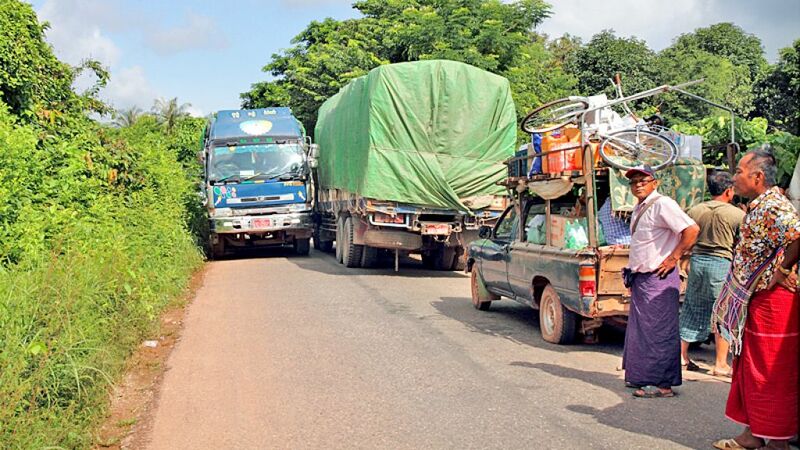 Delivery trucks attempt to squeeze through the narrow road between Eindu in Myanmar and the Thai border. Photo: ADB/Myo Thame. A new road forming the last remaining segment of the Greater Mekong Subregion’s East-West Economic Corridor is set to bring new energy to fuel the economic transformation of a vibrant corner of Myanmar. Daw Than Than Win decided to open a restaurant in Taikgyi Township after the 254-kilometer Yangon-Pyi road was improved with ADB financing in the 1980s. 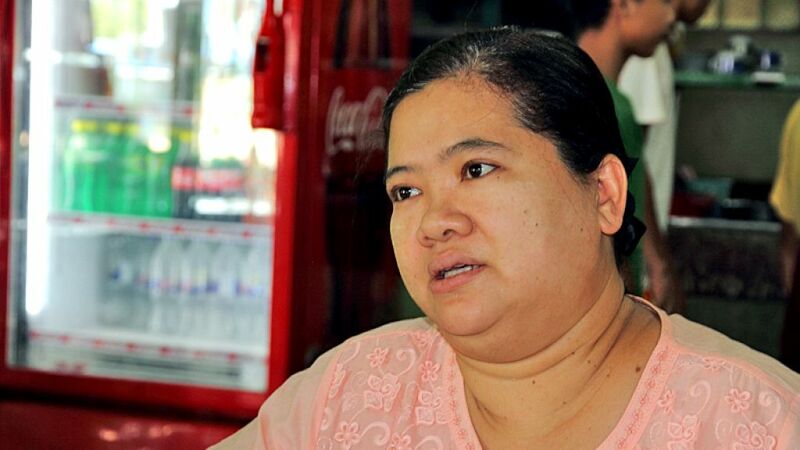 She said that the road became a busy thoroughfare since the upgrade, cutting travel time to Yangon city by half. Photo: ADB/Myo Thame. An old ADB road stands the test of time in Myanmar, while new road upgrades designed to benefit farming communities in the country’s Ayerwaddy Delta are in the planning stage. In addition to prevention activities, a project to mitigate the spread of HIV/AIDS in Myanmar will support treatment and care services, the construction of rural health centers, and enhanced service delivery in hundreds of villages. Photo: ADB/Myo Thame. 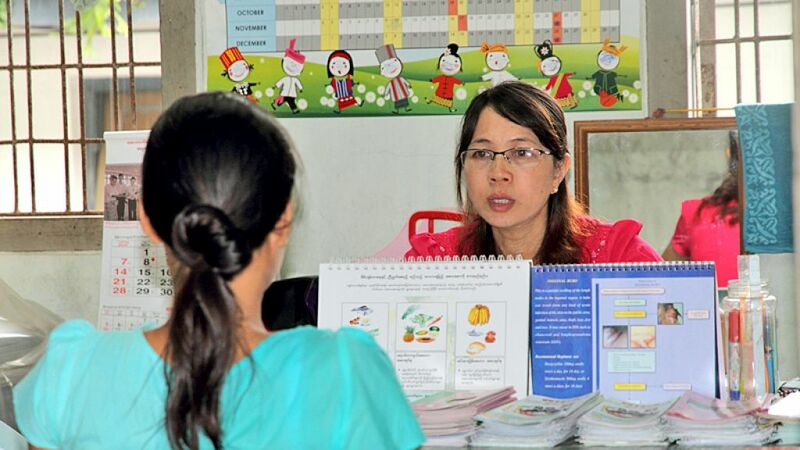 Prevention and awareness-raising programs help address increasing HIV/AIDS transmission risks as Myanmar’s borders open and mobility grows with the construction of new roads.